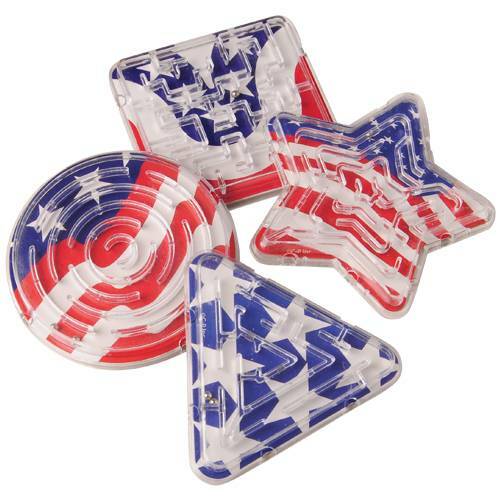 Let your guests get lost in these patriotic maze puzzles. These fun and challenging puzzles will engage children and adults for hours. A perfect fit for party favor bags, these toys keep the mind busy while unlocking pure fun. Complete your next 4th of July celebration with this novelty item.